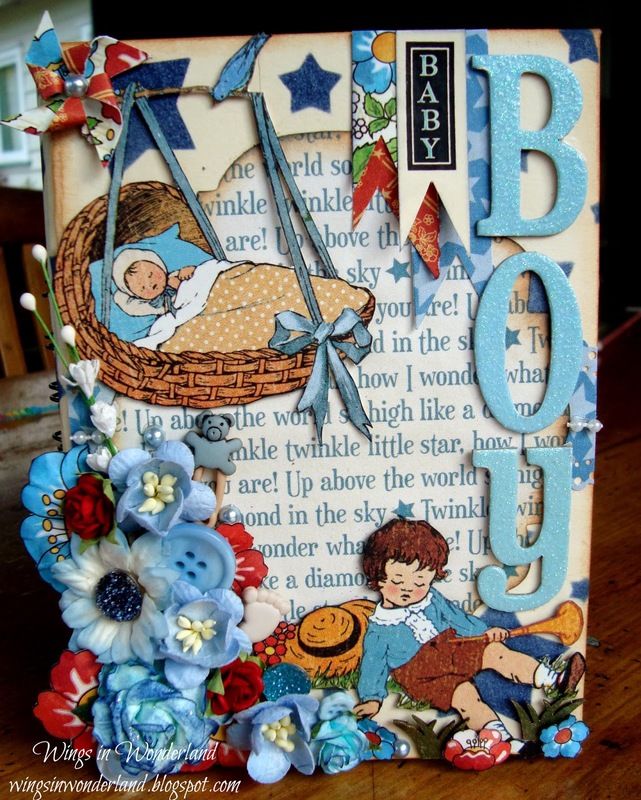 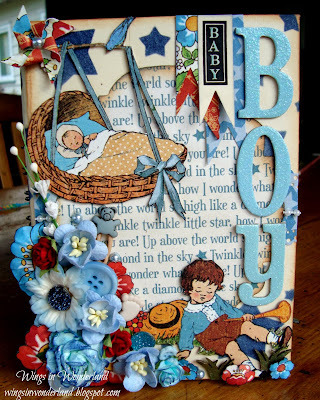 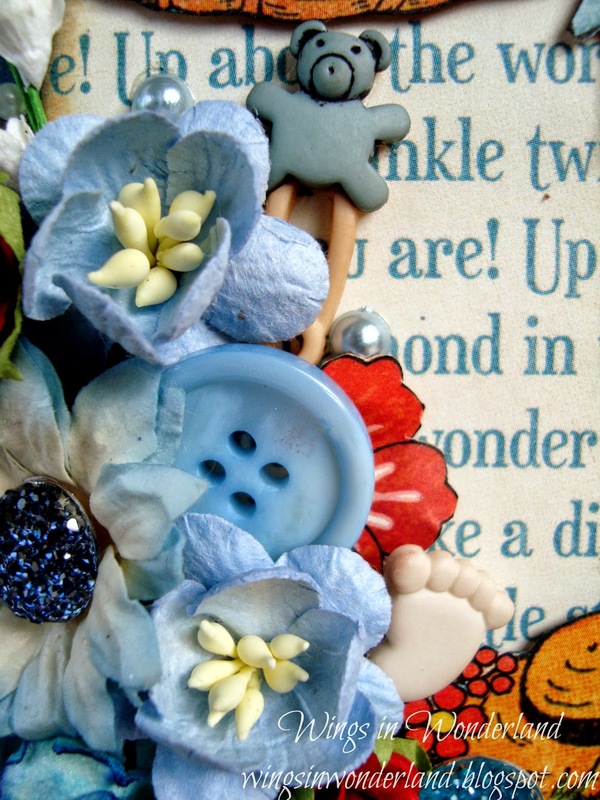 This week I want to share with you a project I have made for a family member who found out on Tuesday she was having a baby boy, well as we are a family of a lot of girls I very excitedly rushed to my craft room and came up with the below little beauty in blue. 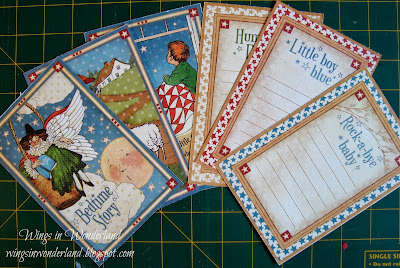 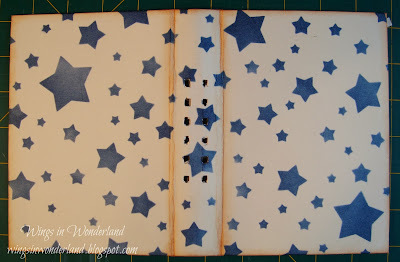 This paper has a bunch of nursery rhymes and journaling spots which I bound together with some cardstock to create an album. 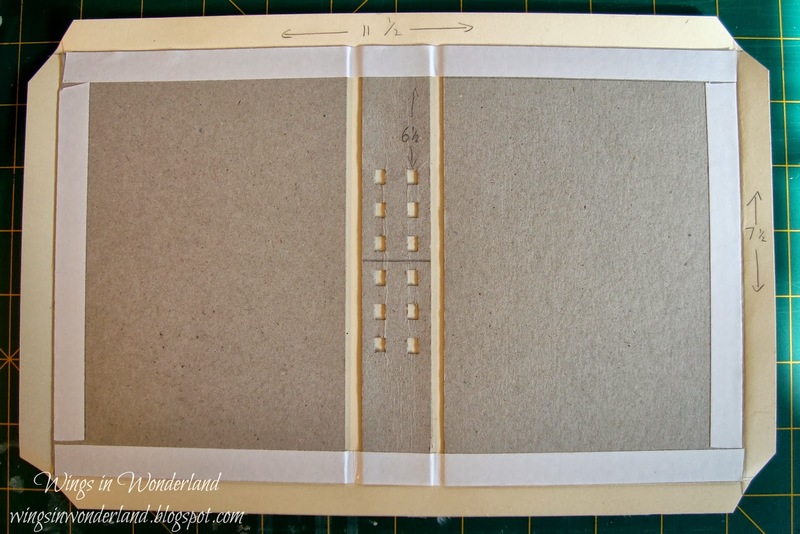 I used a piece of plain cardstock 11 1/2 inches by 7 1/2 inches to wrap my chipboard which was cut at 6 1/2 by 4 1/2 inches with a 1 inch piece in between which I had punched with my Bind it all. 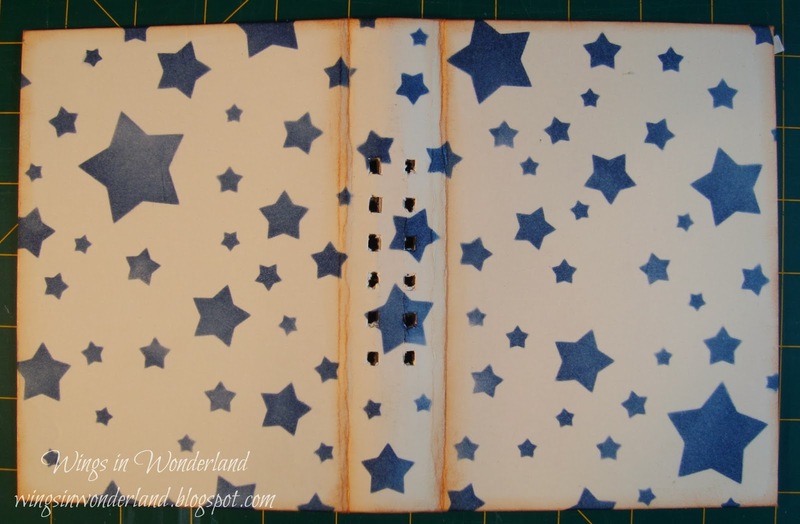 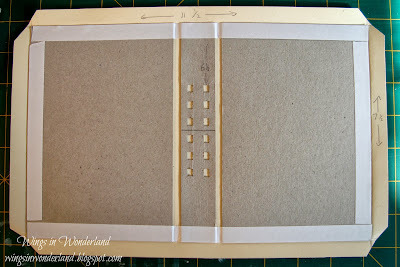 I then layered another piece of cardstock inked with Tim Holtz Tea Dye and pierced out the holes for my Binding. To make my background I have used my blending tool loaded with Chipped Sapphire Distress ink along with my Prima Stars Elements Stencil, and I just love how it turned out. 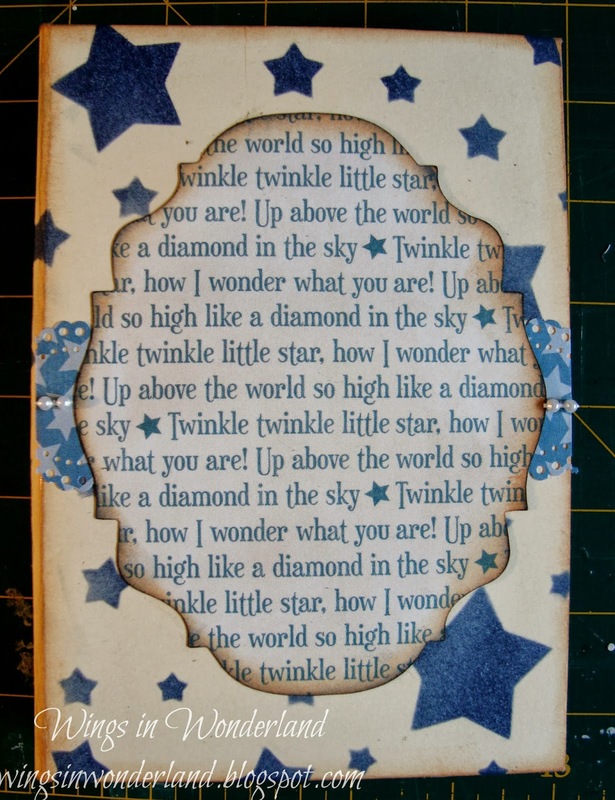 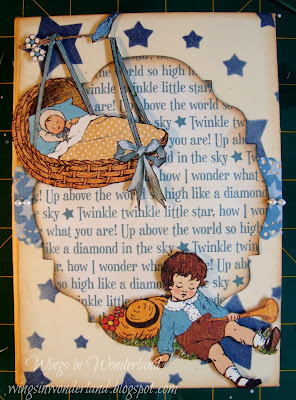 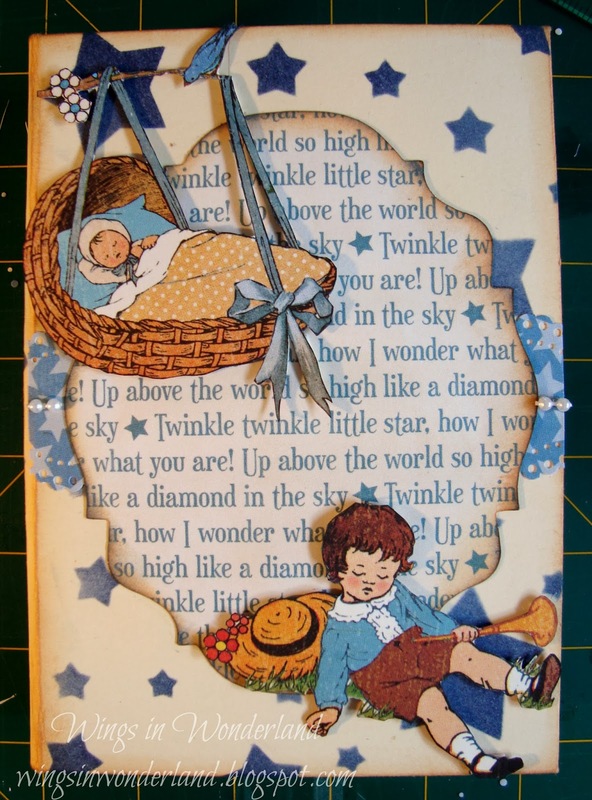 So here I have taken some of the Twinkle Little Star paper and run it through with the Tim Holtz Baroque die, and double distressed with ink. 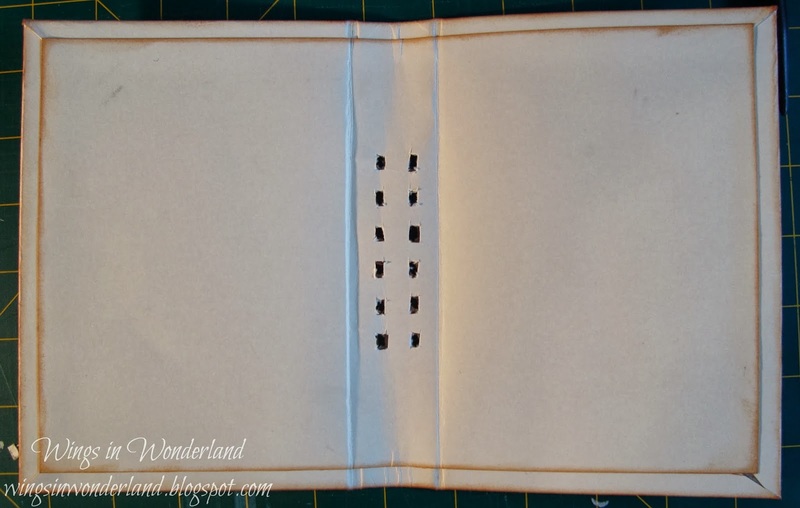 Then using some of the the left overs I punched both sides with the Martha Stewart Doily Lace punch and added a Pearl String for some interest. 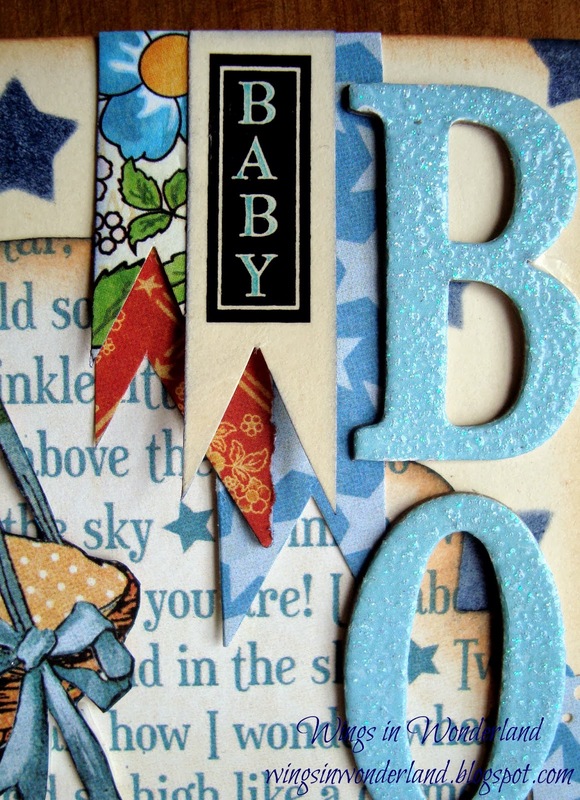 Next I added some pennants cut from the paperline and used a rub on from Craft Creations along with some DCWV chipboard letters to make my title. To make the rub on blue I just went in with my Distress marker with no hassles. 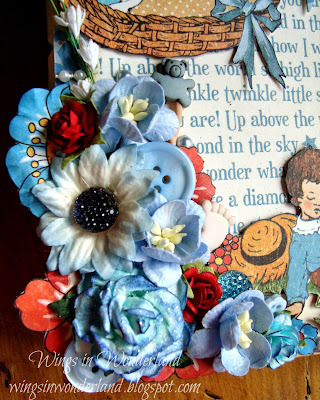 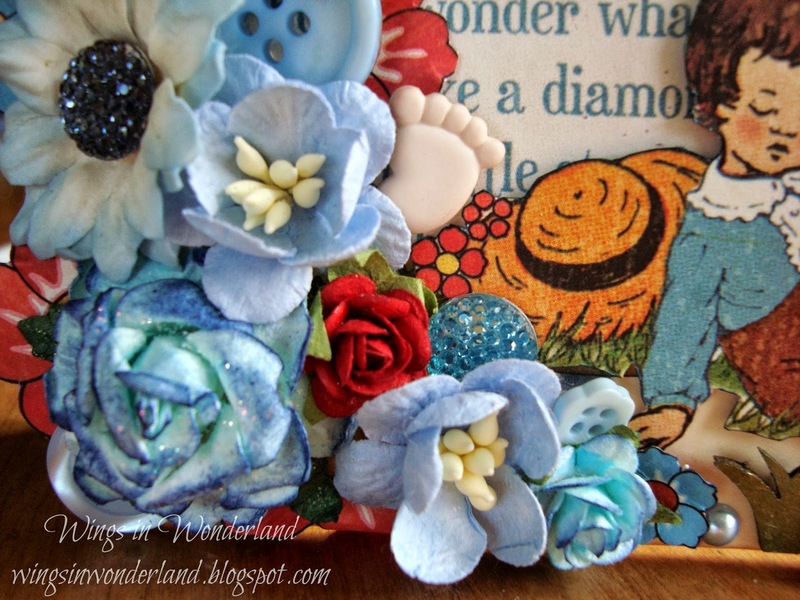 The last thing I did was add my flower arrangement, I have used a bunch of goodies here including lots of Prima flowers, Buttons from Scotties and I have also fussy cut a lot of the flowers from the paper line too. 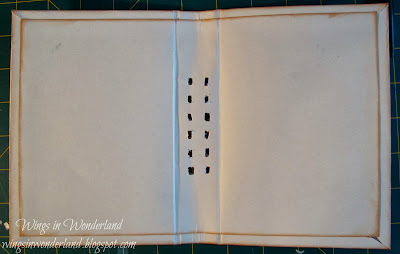 Well that's it for this week and the outside of my album, Please come back and visit us next Friday and I will show you what I have done with the inside. Till then I hope you all have a crafty weekend.